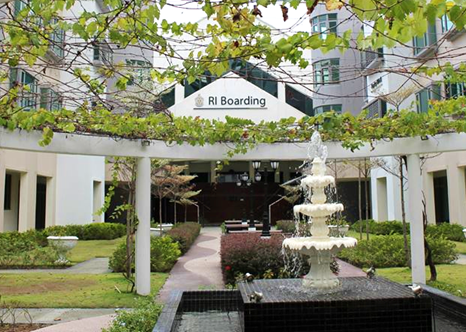 RI Boarding’s Courtyard– a pleasant place for boarders to chat, relax, or even study. With only 15 Boarding Mentors (BMs), and 3 Administrative Staff, taking care of 290 boarders is no easy task. Furthermore, this is on top of the 9 members of RIB’s catering crew, 9 cleaning staff, 9 maintenance staff members, 5 security guards, and the support provided to RIB from school departments such as Estate and IT. A BM takes care of all aspects of the boarders’ well-being, ranging from their health, living conditions, academic progress, social relationships to safety. As a result, these teachers get to see a different side of their students, possessing the privilege of seeing students when they are at ease, and thus have greater insight as to why they speak or behave in certain manner in school. BMs become, in essence, a part of their family. 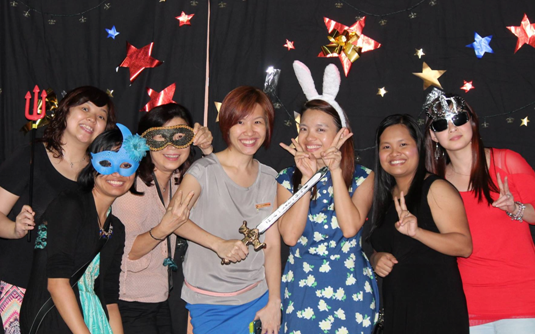 From left to right: Ms Jamie Lim, Ms Nicole Magno, Ms Sharon Ng, Ms Tan Wan San, Ms Lydia Lim, Ms Somavattey Kaing, Ms Lee Poh Leng. Boarding Administrative Office — always there when you need them (during their operating hours of 7.30am-6.00pm on weekdays). 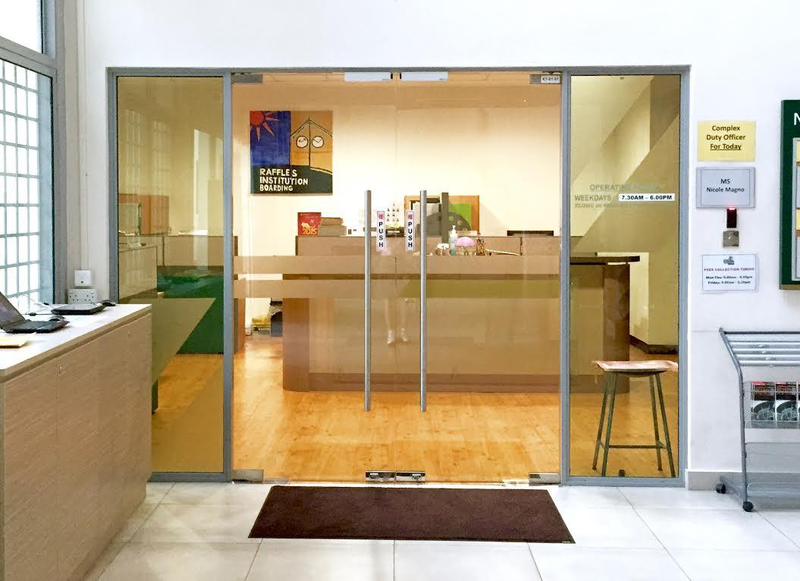 Besides functioning as an information centre for RIB and housing the mail collection area for staff and boarders, the Boarding Administrative Office is also a work area for the Boarding Administrative staff. All boarders have therefore had contact with the office staff, whether during the first time they checked into Boarding, or for fee collections or longer-term leave applications. In the Administration Office, Ms Lee Poh Leng deals and processes boarders’ leave applications, Ms Sharon Ng deals with outstanding fees while Mdm Zalekha Syed Anwar, the Matron, is in charge of attending to any sick students. The Shaw Foundation Ceremonial Hall, affectionately known as the Dining Hall, is where boarders commune to have their breakfasts and dinners daily. But their work doesn’t just stop there. 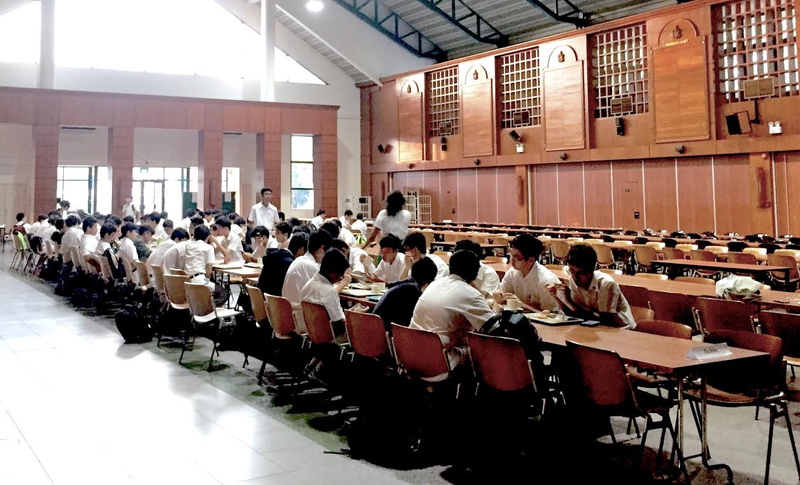 As revealed by Ms Tan Wan San, Manager of Boarding, the boarding staff do many things behind-the-scenes that boarders may not know about – including jobs like having daily meals with boarders; checking out the food and liaising with the catering crew to ensure that meals are consistent, palatable and different every two weeks. Staff also have to ensure that from 7pm onwards, there is sufficient food for the remaining boarders (as the dining hall closes at 7.30pm). Staff are also accountable for the washing and laundry services offered, from the basic ensuring that missing laundry are accounted for, up to monitoring the quality of the bedsheets’ wash. Boarding staff and students from the various House Committees organise quarterly Boarding Dinners whenever there’s an occasion to celebrate, to add colour to the boarders’ lives and give boarders opportunities to mingle about, perform and feast on good food. After listening to detailed description of the packed job scope of working at RIB, a place where having all hands on deck is critical to its smooth functioning– where a staff requirement is to possess a vast amount of energy and a diverse, holistic set of qualities– we wonder: what is the main driving factor for those behind RIB? What pushes them to maintain the gumption, energy and resilience needed to constantly be on the ball while working here? For Ms Lydia Lim, her reasons for joining RIB are numerous and abound, ranging from simply caring for the boarders’ socio-emotional well-being, to empathising with the challenges they face, especially since they live miles away from home, to setting a good role model for boarders by “(walking) the talk 24/7”, to the joy of interacting with young people, beyond the academic talk, to understand and appreciate each student more. Unanimously, we came to the conclusion that these reasons must stem from their own selflessness. Incidentally, when Ms Lim initially tossed around the idea about joining RIB, many attempted to dissuade her from doing so. They cited the countless challenges and drawbacks of having to be on call 24/7, as well as the deprivation of privacy and loss of personal space. Yet, despite hearing out all the naysayers, Ms Lim still took a leap of faith in order to join RIB, and she has never looked back since. Ultimately, Ms Lim’s heart goes out to those living far away from home. Putting herself into their shoes, she tries to empathize with those who may be isolated and lack vital support from their loved ones due to the major obstacle of distance. She strives to support them in a multitude of ways, from providing emotional support to comforting them with kind words. The common sentiment we felt after talking to both boarding staff was that living in Boarding was like being in a close-knit community, where interdependency and respect are paramount. As in every community, students need to be mindful of their actions, as they impact the people around them. Simple things like acknowledging the work of the boarding staff or engaging in constructive small talk, such as complimenting the chef’s food, or getting to know them better as individuals, would also go a long way in making the various staff’s day. “As one talks, one also understands more and appreciation naturally follows.” Ms Lim herself enjoys chatting with the office staff, chefs, and other RIB staff, because “they are the heros undercover.” Of course, actions speak louder than words, so feel free to refer to the 7 Commandments below for more ways to appreciate the RIB staff! 7 Commandments of Appreciating RIB Staff – remember, happy staff, happy boarders! They’re easy to please, just take advantage of some of your 43 facial muscles to show off a blinding smile that’ll lift the spirits of everyone around you. Ms Tan hinted that it’s something that they “look forward to, for example, you see us, or the teacher holding the door for you, a smile, a word of thanks will make our day”. However, to add on to that, she did mention a minor pet peeve, “It’s actually more challenging to do a girls’ block than a guys’ block if you ask me, because females have more hair to lose. Longer hair mah. One person already got a few strands of hair, equal to three persons multiplied…” before laughing. Try to dispose of heavy items in the green bins near the dining hall! To quote Ms Tan, “If I told my 18-year-old boarder to move a heavy rubbish bin to the rubbish collecting point, it’s going to be very taxing for him or her, what more for the senior cleaners? “There have been some cases of boarders going back into their rooms and forgetting totally about kitchen appliances like the microwave and induction cooker. So if you happen to walk by the pantry to throw something, please help to turn it off and inform the BM about it. With that, it has been a delightful experience listening to Ms Tan and Ms Lim as they shared their insightful opinions and animated recounts of the behind-the-scenes in RIB. We definitely felt the passion and care that drove these selfless boarding staff to ensure the safety and welfare of the boarders in all aspects. How they manage to hold the students’ well-being above all else, is a feat deserving of true respect and admiration of not only boarders, but also the whole school community. The RIB staff invites all students interested to board to drop them an email at boarding@ri.edu.sg. Appreciation Week is a collaboration between students from The Humanz Initiative (THI) and Raffles Press that aims to recognise and appreciate the non-teaching staff members who do a lot that we often don’t value enough. Through our article series featuring individuals or groups around the school, we hope more will be encouraged to show their appreciation for the perhaps less-noticed staff members around the school; though seemingly insignificant to some, they definitely make a significant impact on our school lives. Aunt Agony and Uncle Upset: You’re Just My Type!